There are certain times of the year that I look on, as an Orthodox Jew, while people around me celebrate exciting holidays like Halloween and Christmas. Instead of sitting back wrought with jealousy, I decided this year that I would take advantage in any way I could and for Halloween, that meant candy, candy and more candy! I drove to my closest drug store and stood in front of the candy section for almost 10 minutes deciding which chocolate morsels I would pile in to my cart. 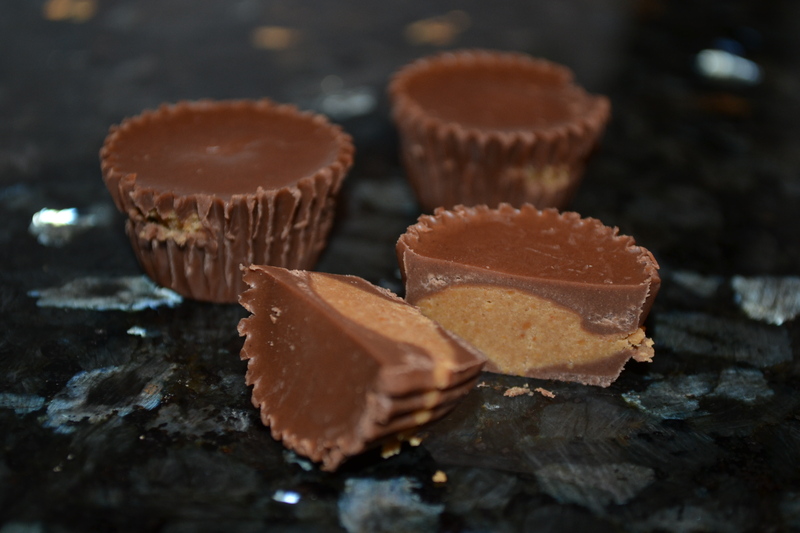 I finally decided on Reese’s Peanut Butter Cups, Hershey’s Kisses Filled With Caramel, and Dove White & Milk Chocolate Swirl Promises, all candy that I knew would melt well in the oven but would still hold on to their delicious integrity. Next came the question of what to do with all of that yummy candy so I figured I should turn to a cookbook made just for kids, since it’s usually kids who collect the candy on Halloween, right?!? Kosher by Design Kids in the Kitchen, by Susie Fishbein, was my answer and the Fruit Pocket recipe was my inspiration! I seriously felt like a kid making this desert and I certainly suggest making this with your own kids. Before I begin with my directions, I just have to say that this recipe is beyond simple and you won’t believe how incredible and flakey the crust tastes! So here we go. 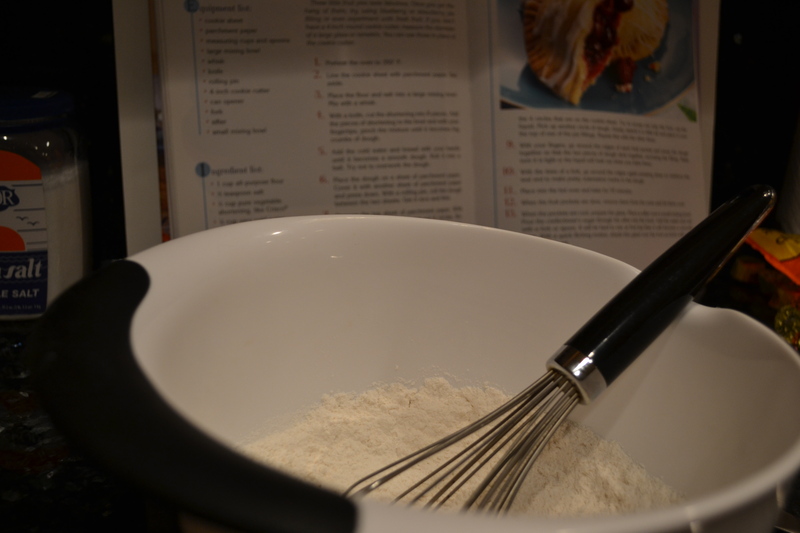 I placed the flour and salt in a mixing bowl and whisked to combine. I cut the shortening in to 8 pieces, added to the flour and pinched with my fingers until the mixture became big crumbs of dough. I seriously love vegetable shortening. It’s smooth, luscious and so easy to bake with. I recommend buying it in bulk! 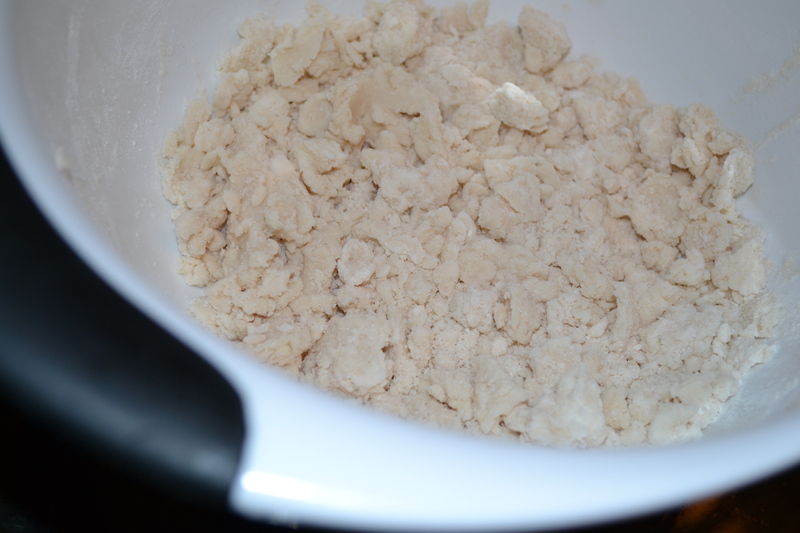 I added the ice-cold water to the crumbs and kneaded with my hands until smooth, which didn’t take long. Just make sure not to overwork the dough. 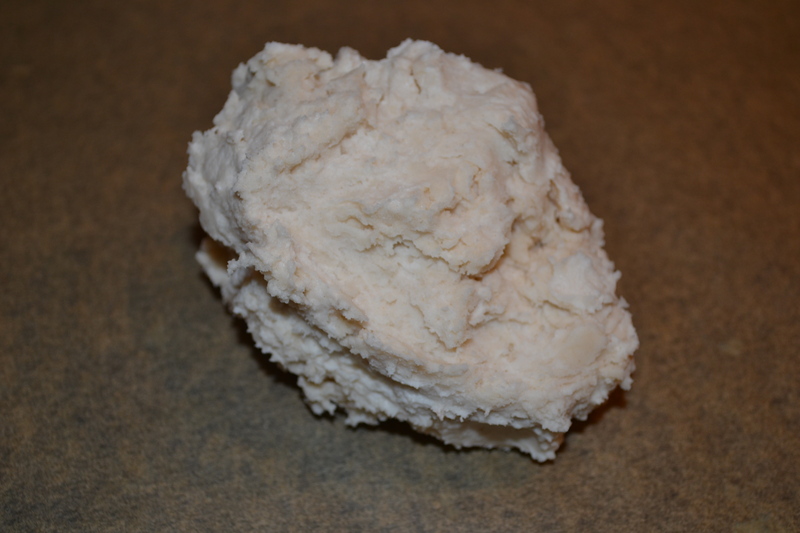 I placed the ball of dough on a sheet of parchment paper then covered with another sheet of parchment paper and pressed down. With a rolling pin, I rolled the dough between the two sheets until thin. I removed the top sheet and using a cup with a 4-inch rim, I cut out 4 circles and placed them on a cookie sheet lined with parchment paper. I chopped up the candy and placed around 1 tablespoon of each candy in the center of the circles. Since there were 4 circles and only 3 types of chocolate candy, I made one pie with a mixture of all three. Yum! I re-rolled the remaining dough, cut out 4 more circles, and placed those on top of each filled pie. 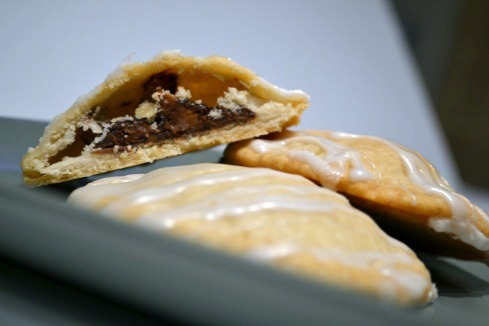 With my fingers, I pressed the dough together around the edges to enclose the filling. With the tines of a fork, I pressed down the edges again to reinforce the seal. And hey, it also made the pies look really pretty. 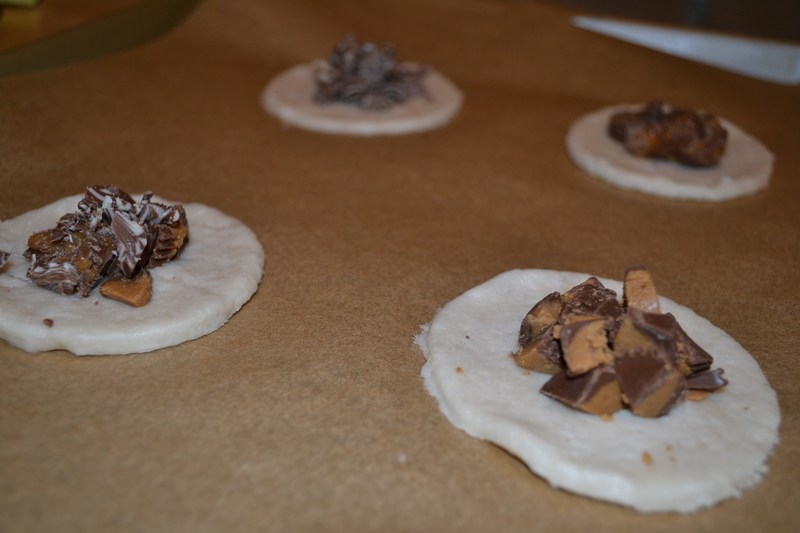 I had some extra dough leftover so I wrapped it around a few more candies and placed those on the cookie sheet as well. It might be fun to make them all like that some time and call them Drug Store Candy Truffles. I baked the pies for 35 minutes at 350 degrees. 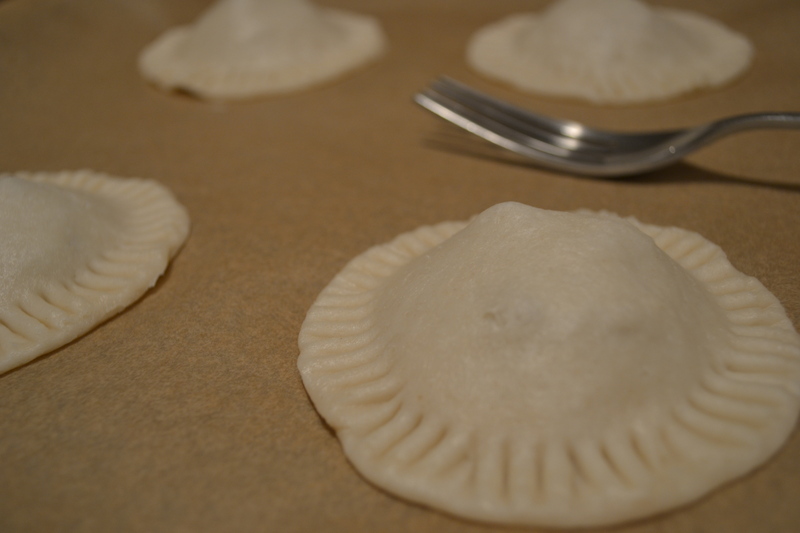 When the dough was cooked, I removed the pies from the oven and let them cool completely. 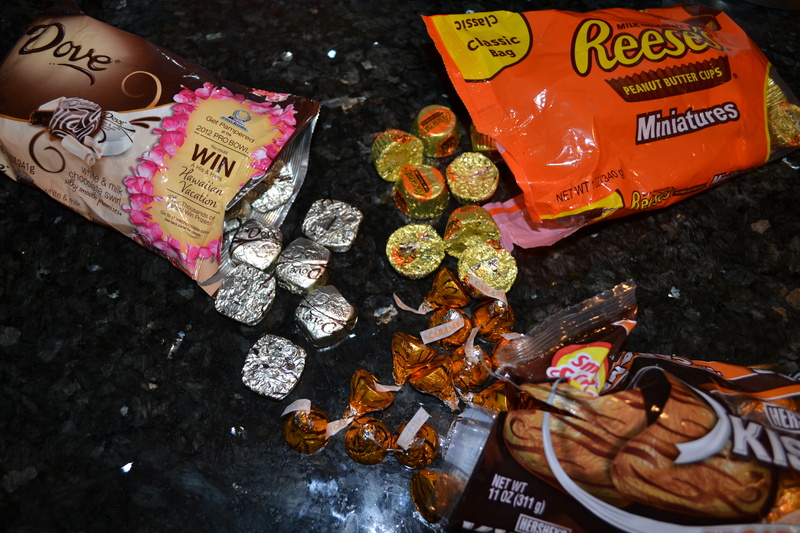 My house smelled like buttery pie crust and I couldn’t wait to dig in to the melted candy center. In the meantime, I prepared the sweet glaze by mixing confectioner’s sugar with the hot water. 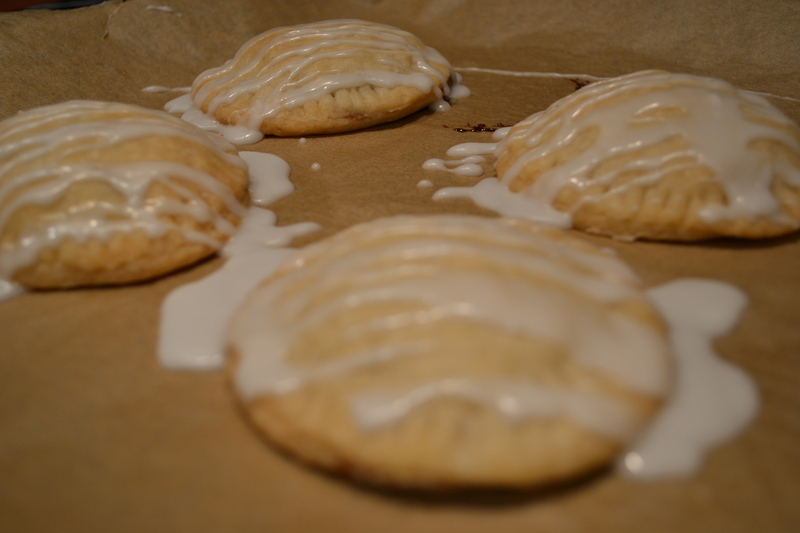 The glaze was shiny and smooth and I was excited to drizzle it on the pies! Then came the fun part! I sliced in to all of the pies to see what surprises I would find inside. The candies held their shape enough that I could see which flavor filled each pie and I devoured them! The crust was incredibly flakey and buttery and the sweet glaze melted in my mouth. 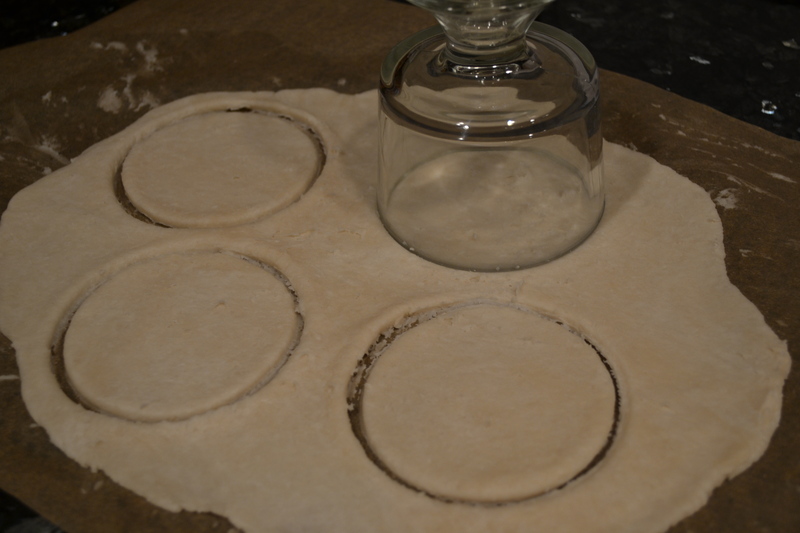 I can’t wait to brainstorm what else I can fill these little pies with! You are more than welcome to share your ideas below. Those look delish – save me some! But you should have waited until Tuesday morning to get the candy – bigger sales, more chocolate available!!! Holy moly! I think I’ll have to go make myself fleishig, cause these photos are making me want to find chocolate.